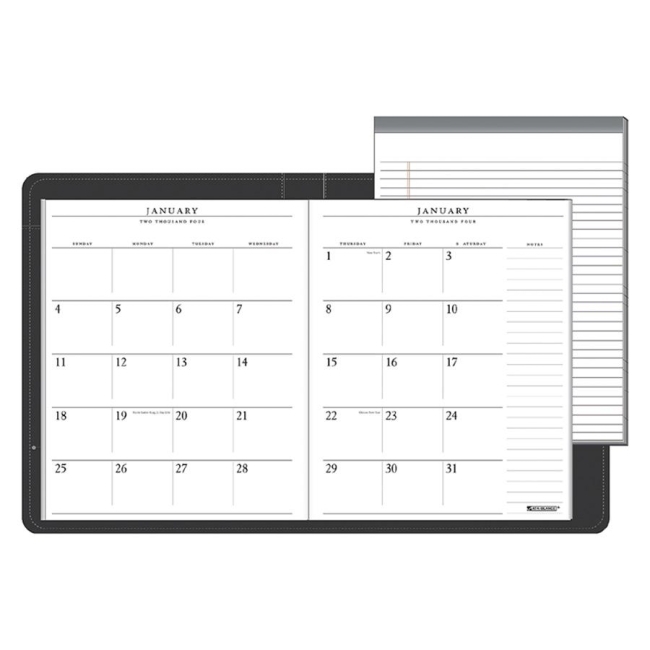 Organize your appointments in style with the Executive Monthly Padfolio. Planning pages range 13 months from January to January. Two-page-per-month spreads feature unruled daily blocks, space for notes, and past, current and four future months reference. Pages are printed on quality ivory paper. Wirebound monthly planner has a deluxe cover with storage pocket, business card holders, a pen loop, separate writing pad and simulated leather cover. Refillable.